Bring an element of luxury to your daily routine as you drive the 2018 Toyota Sienna. From its chrome inner door handles to the available woodgrain trim, this vehicle combines functionality with a stunning aesthetic. Relax on the available heated front seats as you combat winter with ease. Find your perfect position through the available 8-way power adjustable driver seat, which allows you to stay comfortable no matter how long your journey. Keeping your hands on the wheel has never been easier with the available leather-wrapped and heated 3-spoke steering wheel and its mounted audio controls. These controls enable you to access your settings without compromising your focus on the road. 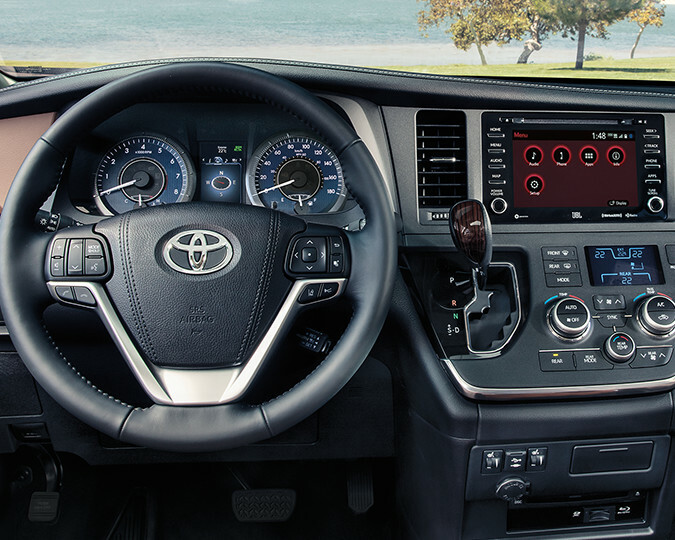 Find a perfect temperature for everyone with the 3-Zone Independent Automatic Climate Control as you set and maintain multiple different temperatures throughout the cabin at the same time. Find a spot for everything and everyone with the 40/20/40 Split Middle Seat Back as well as the split and stow 3rd-row seats. 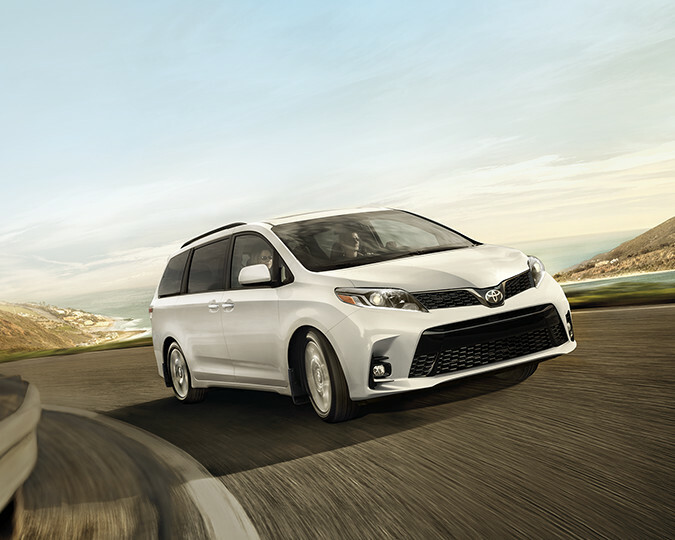 On the outside, the 2018 Toyota Sienna presents an aerodynamic body structure that is fit for a variety of driving conditions. You are given enhanced convenience through the power dual sliding rear doors as well as the durability of the available 19-inch aluminium alloy wheels. Aesthetics are increased with a rear spoiler and optional black front grille while the projector Style Halogen Headlamps, available fog lamps, LED Daytime Running Lights and LED Rear Combination Lamps ensure that you can see and be seen on the road. Stay in the loop everywhere you go in the 2018 Toyota Sienna as you take advantage of a range of modern communication features. Access your compatible devices and control your settings through the optional 8″ touchscreen as Advanced Voice Recognition and Bluetooth Capability bring you hands-free calling and more. Entertainment is provided with the integrated SiriusXM Satellite Radio as you enjoy over 120 commercial-free channels. Find your way with ease thanks to the optional navigation system and its ability to guide you through turn-by-turn directions. 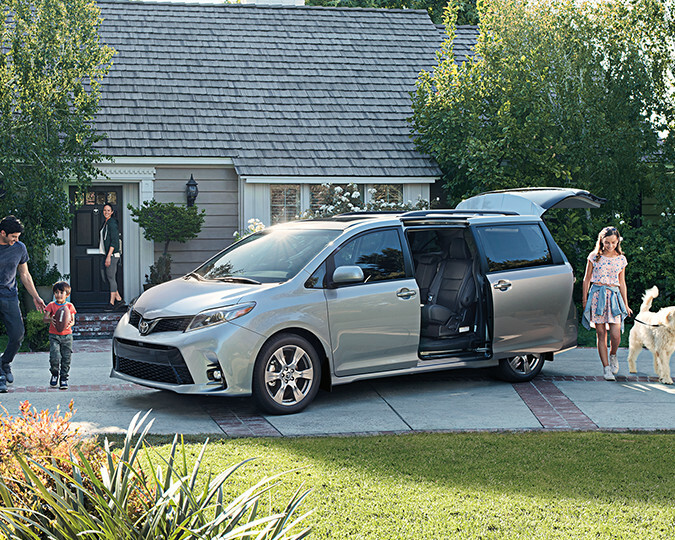 Take advantage of customization on the 2018 Toyota Sienna as you select from a range of available Genuine Toyota Parts & Accessories. Keep your interior protected through carpet floor mats or all season floor mats while a cargo net serves to keep your belongings organized and tidy. Expand cargo carrying capabilities with the addition of crossbars, where you can store larger or more awkward items. Maximize your potential in the 2018 Toyota Sienna as it delivers astounding performance and control. Featuring an available All-Wheel Drive System, this vehicle takes you out of your comfort zone to where the real magic happens. Enhanced drivability and fluid responsiveness join you through the available 8-speed automatic transmission, where confidence leads the way. Some conditions may apply. See Gateway Toyota dealer for full details Edmonton, Alberta, Canada. 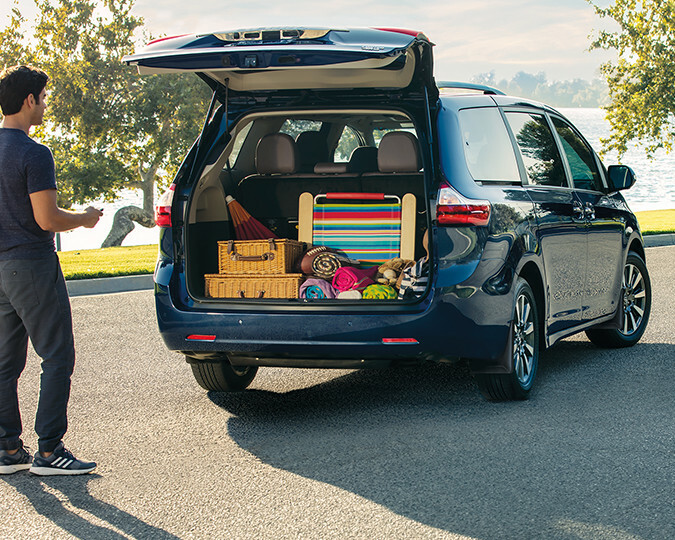 Expand your horizon in the 2018 Toyota Sienna as you treat your family to a whole lot more than mobility. Through a beautifully crafted interior and a functional exterior, this vehicle works to enhance your day-to-day. Check out the 2018 Toyota Sienna at your local Edmonton Toyota Dealer – Gateway Toyota. With a wide range of vehicles to select from, Gateway Toyota is here to help you find the perfect fit!